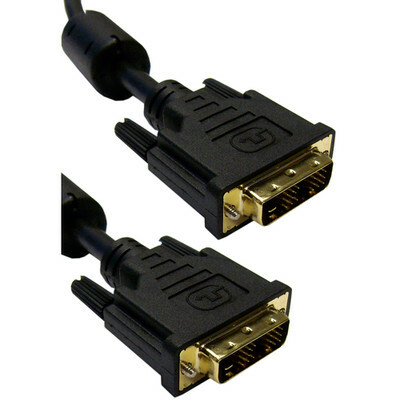 Our 2 meter (6.6 foot) black DVI-D Single Link cable has DVI-D male ends with thumb screws. This DVI cable features foil and braid shielding, ferrite cores and 28 AWG (American Wire Gauge) conductors for a high quality video signal for your display(s). Good, quality cable. Much better price than my local sources. It works, and does what's expected.